So I was never known to have a green thumb… I actually never had much for patience when it came to gardening at all. I loved the garden & encouraged my mom to have one.. but when it came time to helping her I was never very excited about it. Now with our new place.. & taking on the role of gardening on my own.. working through some trial & errors to see what grows best where.. I am super excited about it all! 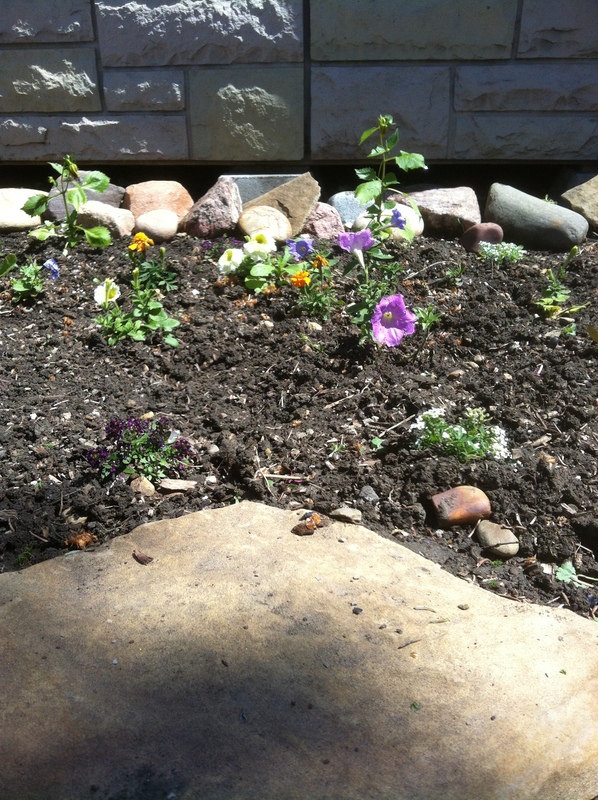 Here is my flower bed early this year..
& Here is is Now… So Full & Colourful! 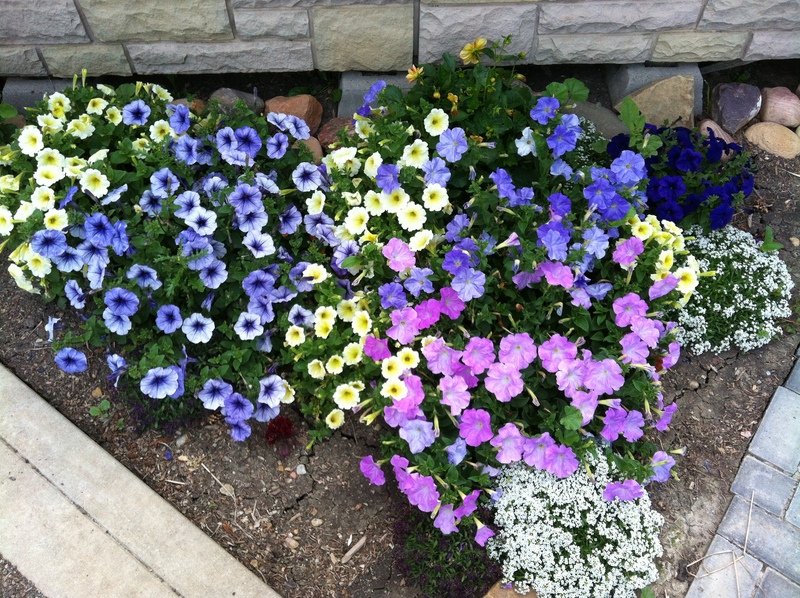 I know petunias are a very hardy flower… But I am still impressed on how the flourished this year. So Fun!!! Love your Summer!! !